The Quad is where all things come together. 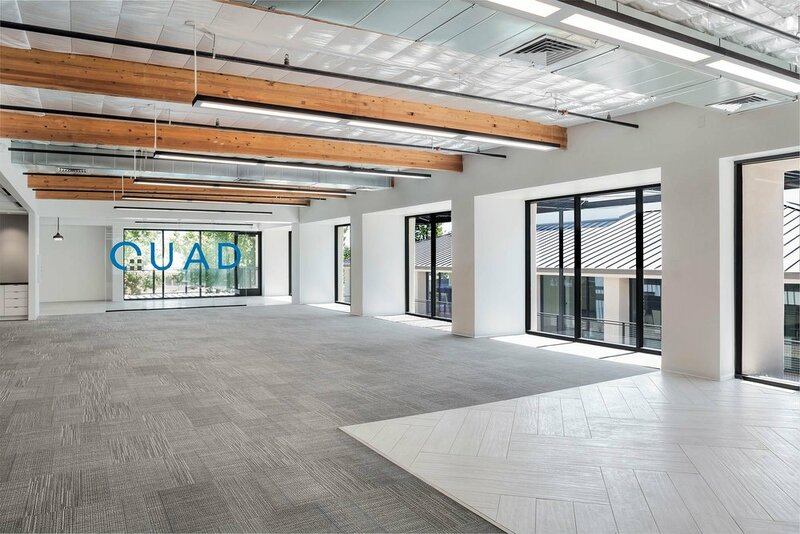 Ideally located close to downtown Scottsdale, The Quad featuring ±160,000 SF of next generation office space comprised of 14 free standing buildings and unmatched dedicated indoor/outdoor work spaces. 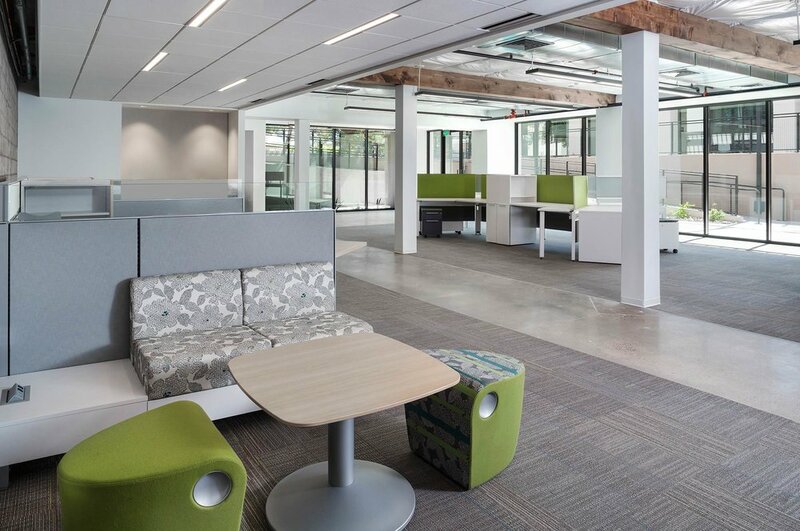 The ability to match the feel of your space with the culture of your office. 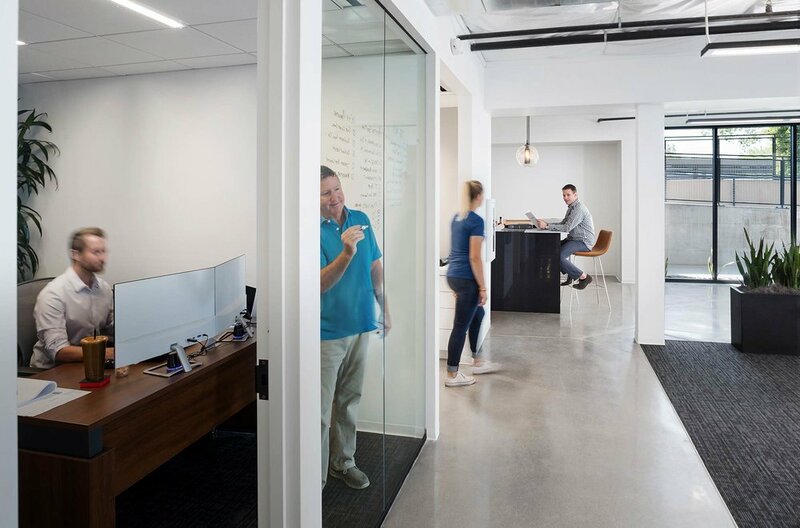 Create an environment that will allow your company to flourish through collaboration. 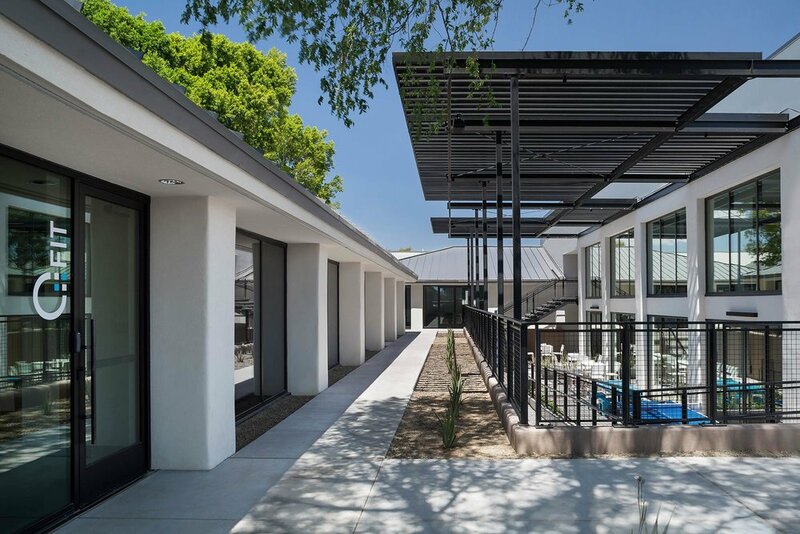 The myriad of outdoor spaces and community spaces encourages interaction between quads. This allows companies to develop relationships, share ideas and network. Outdoor workspace won’t work without wi-fi. Stay connected wherever you roam on the campus with free, high-speed wi-fi throughout the property. 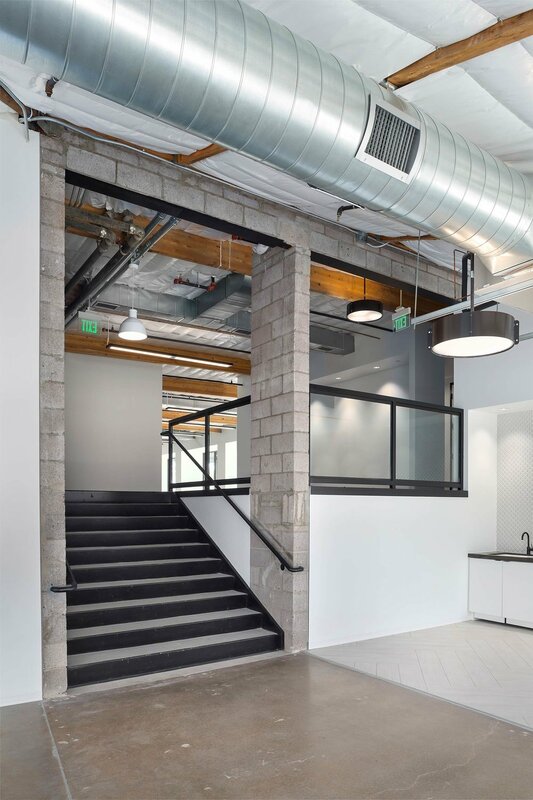 Blurring the line between tenant space and community space. Take a moment from your day to take back your sanity. 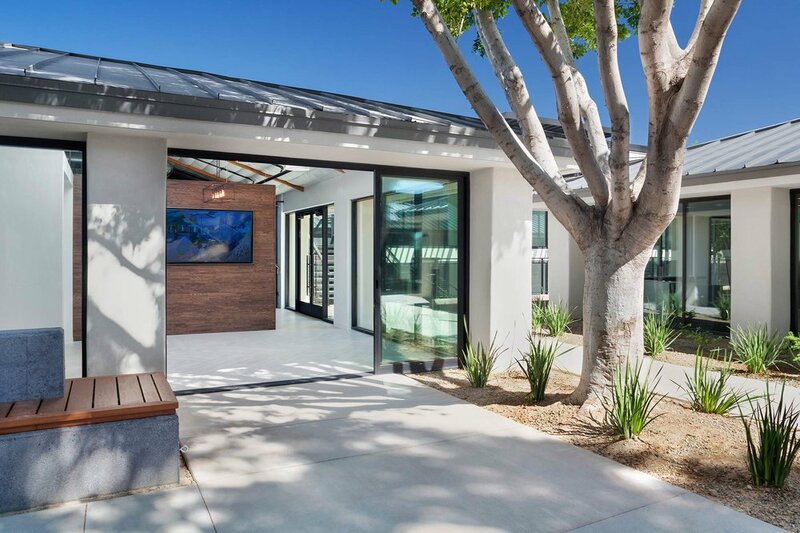 Lush, garden-like landscaping offers the perfect relaxing space for a short walk or a few minutes of meditation. The Quad offers an abundant parking ratio for those who choose to drive to work. 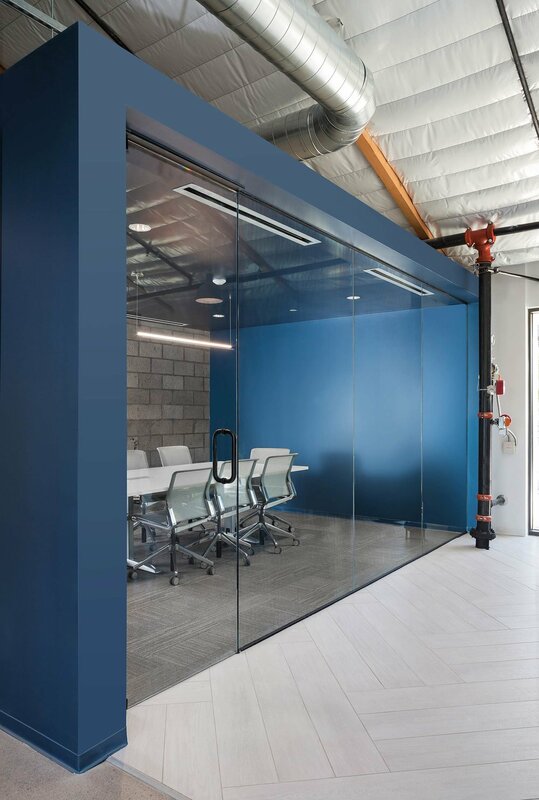 Included in the ratio of 5 spaces per 1,000 rentable square feet is a 1 per 1,000 ratio of covered spaces. Created to inspire a local community. 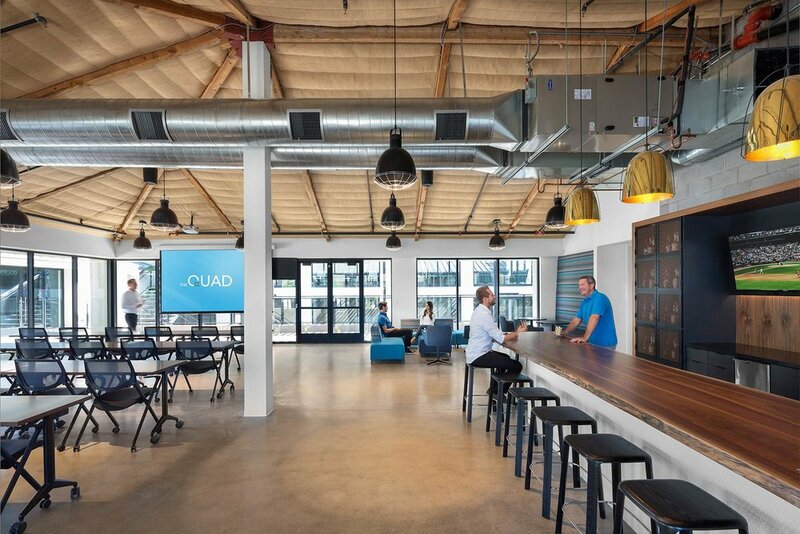 The Quad is a place where companies, people, lifestyle and collaboration come together. A park feel that promotes the interaction between individuals through walkways, community indoor and outdoor spaces. 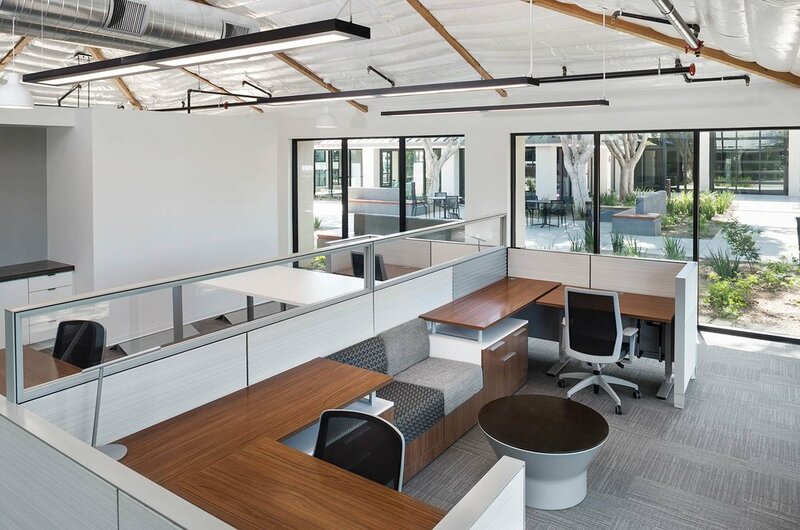 Your office space is not just between your four walls at The Quad, it is the entire project. 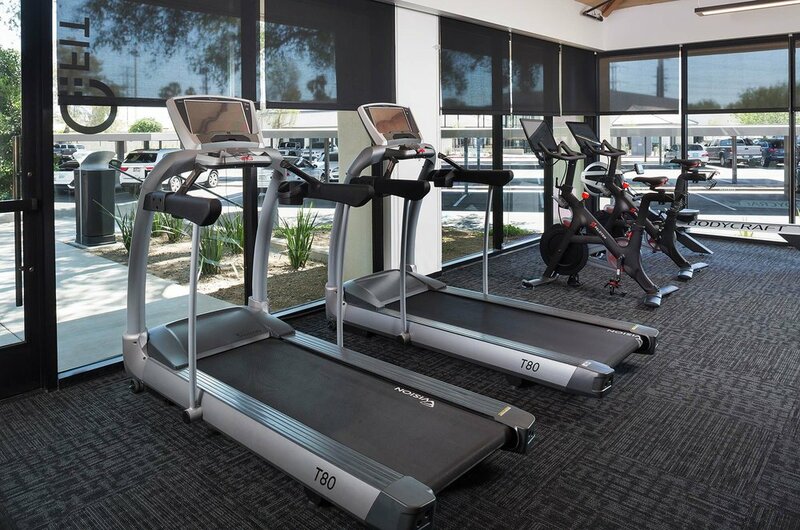 Modern fitness center that includes shower facilities. This amenity offers a convenient way to fit in a workout close to the office during a time that works best which could even be during lunch. 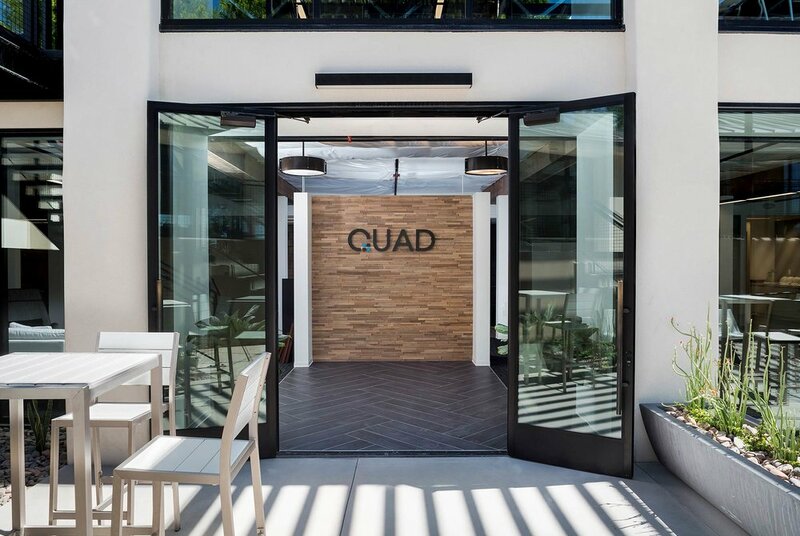 The Quad includes an approximately 1,200 SF tenant amenity space. The space is available to all tenants to hold networking or training events. The space includes state of the art audio visual equipment, a catering kitchen and bar. Regular community events are held to promote the interaction between tenants. Events include bocce' ball tournaments, community networking and industry focused training. Ride your bike to work. 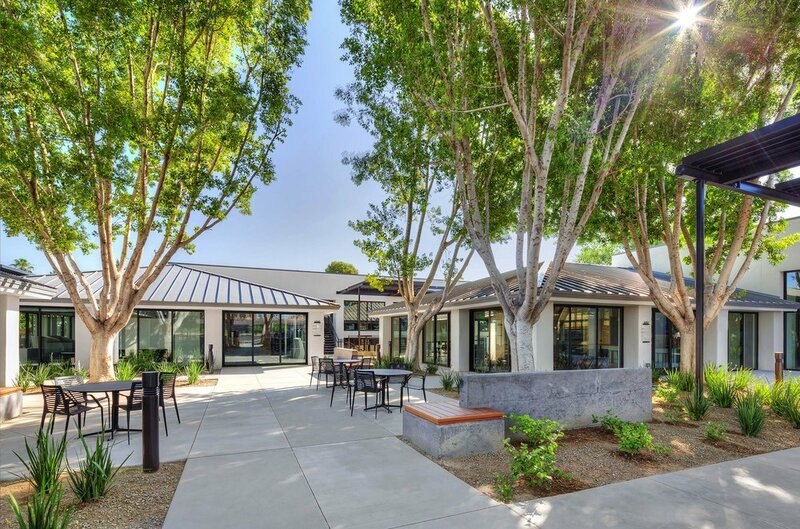 With multiple bike parking areas, a dedicated connection to the Cross-Cut Canal multi-use pathway and excellent proximity to the Arizona Canal, The Quad is heaven for cyclists. On-site shower facilities make it easy to freshen up and recharge after the commute. Additionally, in the spirit of Arizona’s relaxed culture and today’s blending of work & personal life, The Quad is proud to offer a pet friendly environment. Each quad will have its own fenced dog park area. The perfect location. 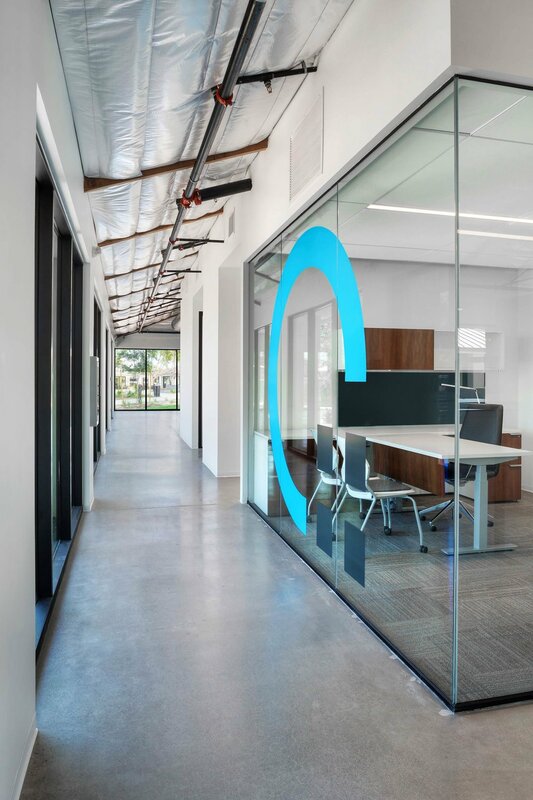 Ideally located in the heart of the valley and within minutes of Downtown Scottsdale and Downtown Tempe. 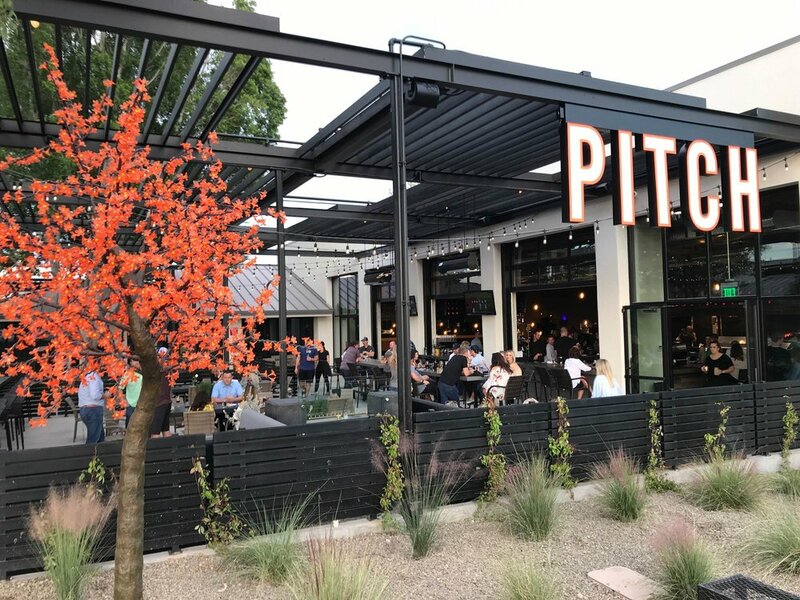 The unique location allows employers to attract millennial workers that prefer to live and play in these two areas. The location is also approximately 3 miles from both the 101 and 202 freeways. Where all things come together. ©2016 THE QUAD. ALL RIGHTS RESERVED.